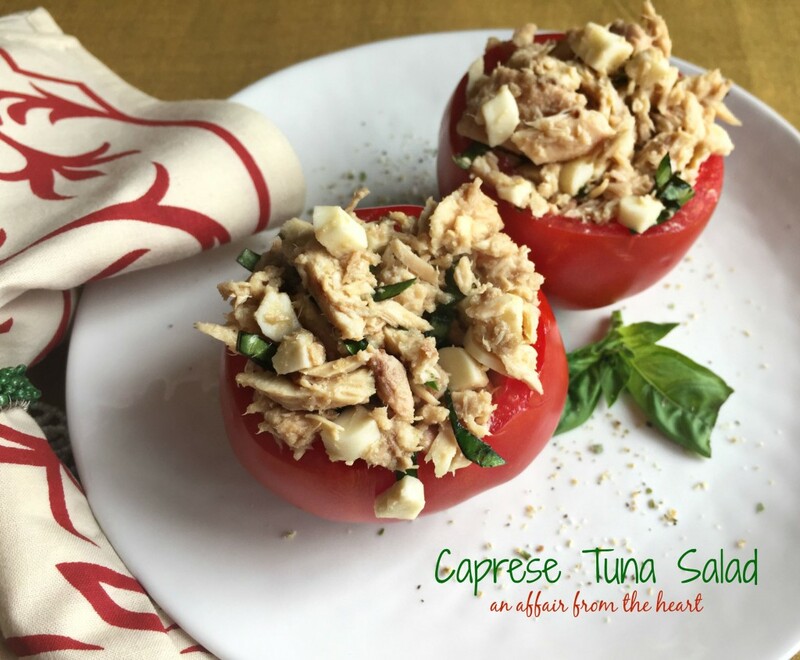 Everything we love about caprese; basil, mozzarella, balsamic and olive oil, make up this light tuna salad tucked perfectly into a ripe tomato. I am fortunate to have a hubby that works close to home. He is able to come home and eat lunch with me most days during the week. I would say that we eat tuna 2-3 times per week for lunch. It’s just so handy, and it’s light and we can fix it many different ways. 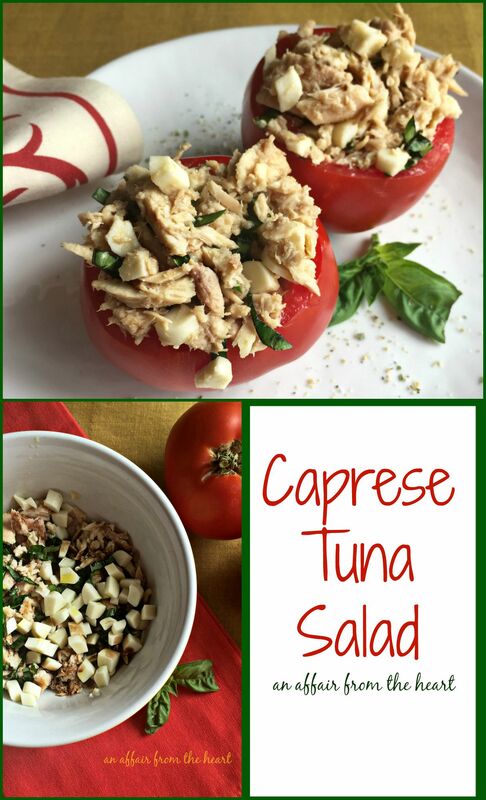 We enjoy tuna for dinner quite often too, whether in casseroles or made into salads, our whole family loves it. 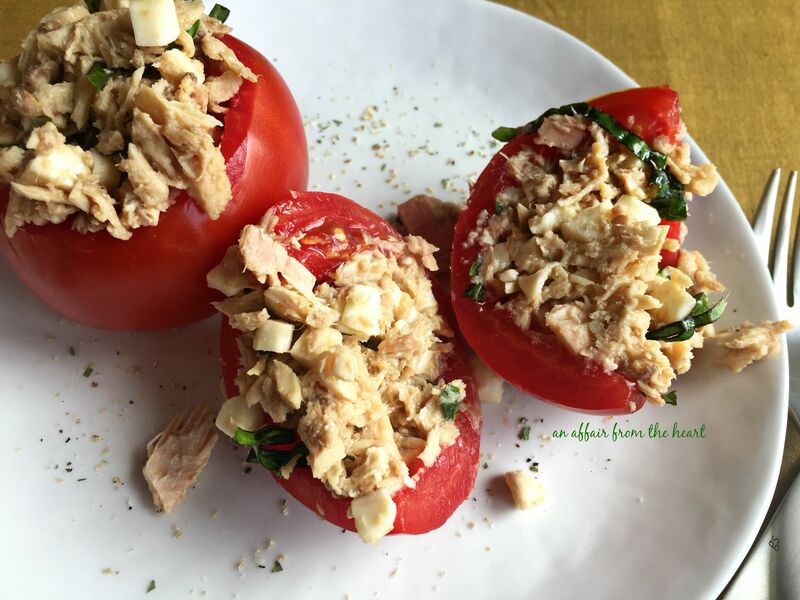 This time of year, when the tomatoes are homegrown and perfectly red and and ripe, we love to accompany our tuna salad with them. 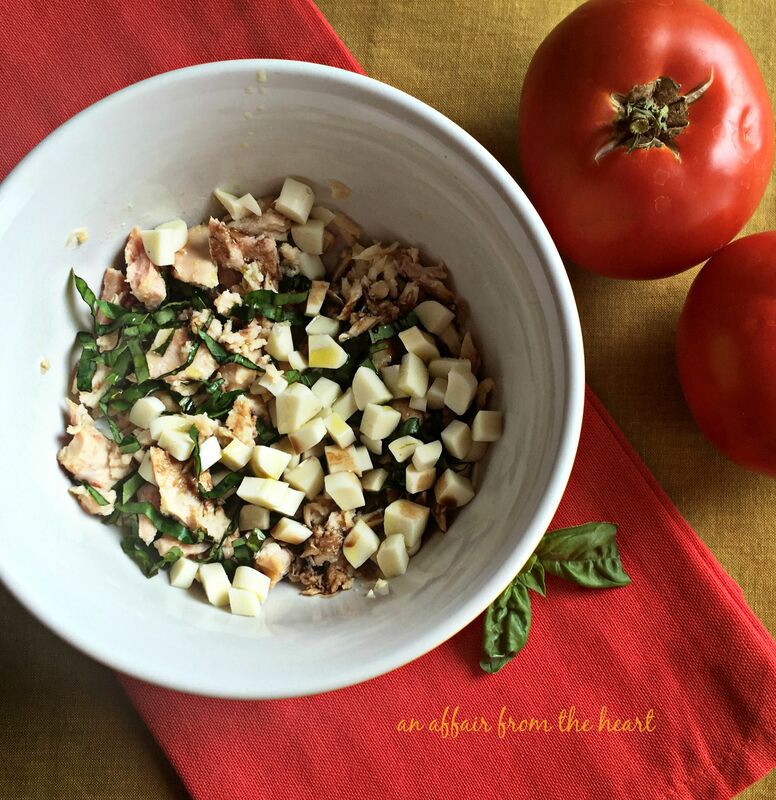 So, I thought to myself, what if I combine two of my favorite salads, tuna salad and caprese salad, and make one stellar salad? 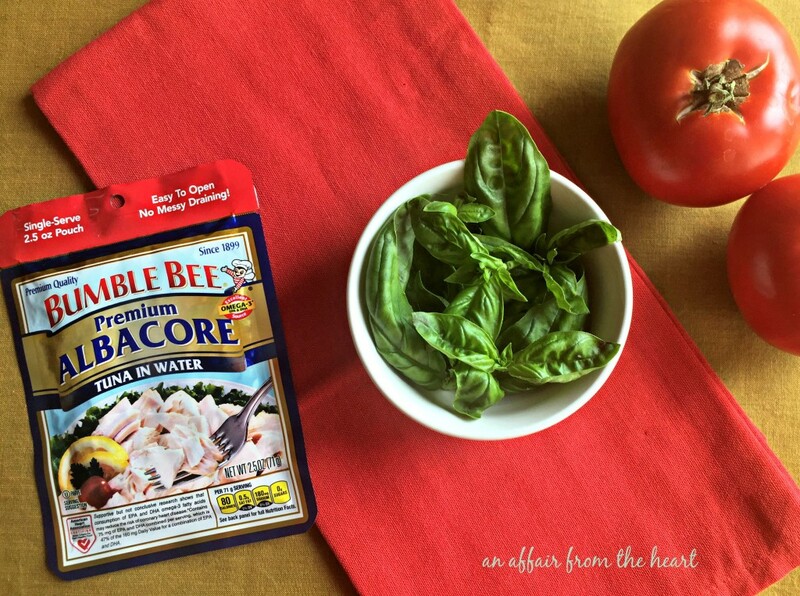 I mixed Bumble Bee® Solid White Albacore in Water with some small chunks of Mozzarella cheese, fresh basil, salt & pepper and a drizzle of balsamic vinegar and olive oil. No mayo needed. The salad was then stuffed inside a hollowed ripe tomato. It makes for a fantastic simple and healthy family dinner, that is ready and on the table in about 10 minutes. 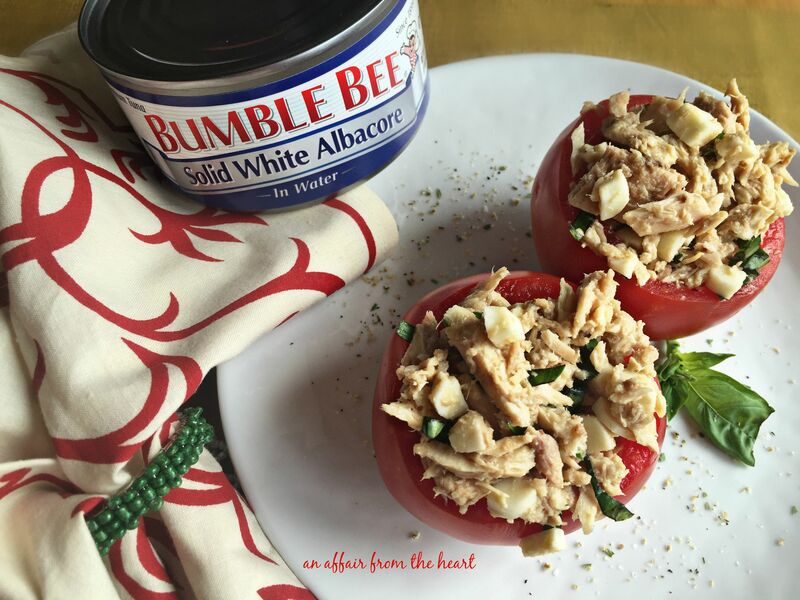 Bumble Bee® Albacore products are an easy and delicious way to add a variety of nutrients to your diet including lean protein, healthy fat, and important vitamins and minerals. Mix tuna with cheese and basil, salt and pepper to taste, drizzle with vinegar and olive oil. Mix to combine. Stuff into hollowed out tomatoes. What a great meal idea, Michaela! I could go for that for lunch today! Delicious. I love what you have done with the humble tuna.